Millions of cat owners around the world have noticed a difference in their cat after using the FELIWAY® range. Whether it is spending more time with the family, helping multiple cats live in harmony or helping to stop unwanted behaviours, the FELIWAY® range can make a real difference in cat loving homes. 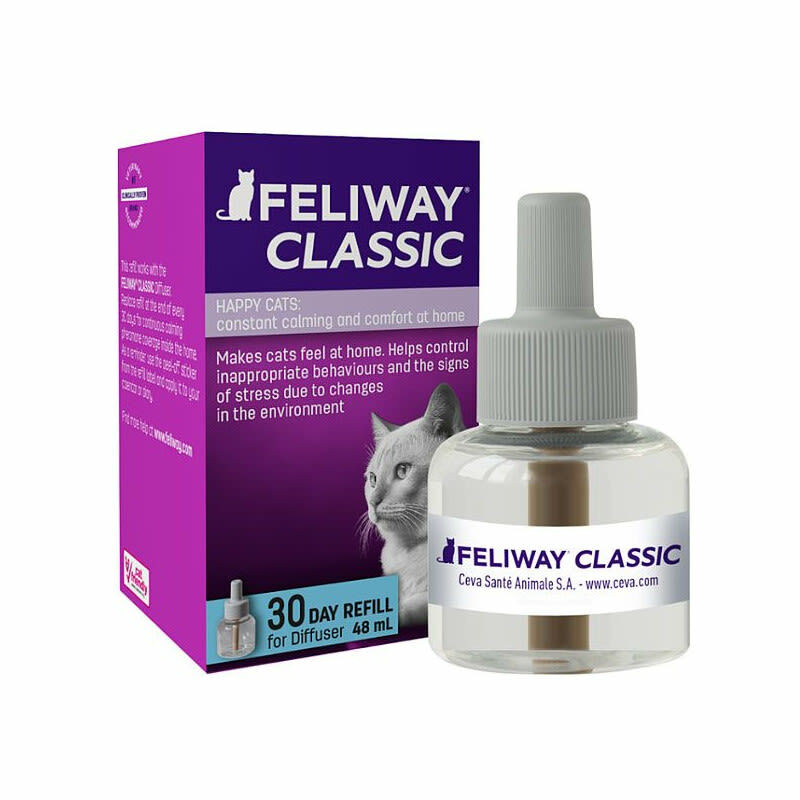 FELIWAY® CLASSIC is a synthetic copy of the feline facial pheromone (F3) that cats leave behind when they rub their faces on furniture, doorways, people’s legs and other objects in the home. It is a sign they feel comfortable in their home environment. 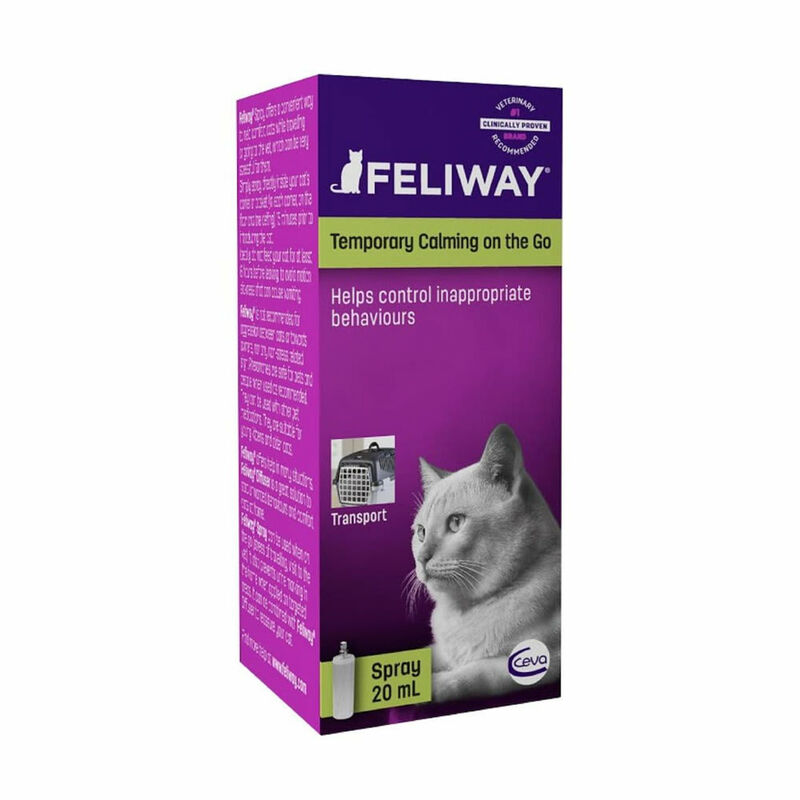 FELIWAY® CLASSIC is clinically proven to support cats during stressful situations and to help solve unwanted behavioural problems. 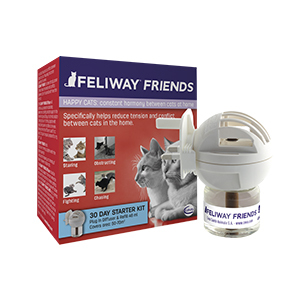 FELIWAY® FRIENDS is a synthetic copy of the cat appeasing pheromone (CAP) naturally produced by a nursing mother to her kittens after birth. This pheromone helps the kittens feel safe and secure and promotes a bond between them and their mother. 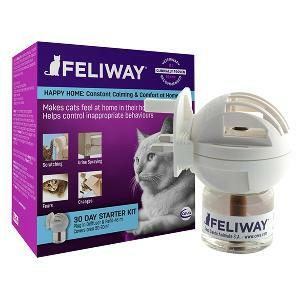 FELIWAY® FRIENDS is clinically proven to help reduce tension and conflicts between cats in multi-cat households.